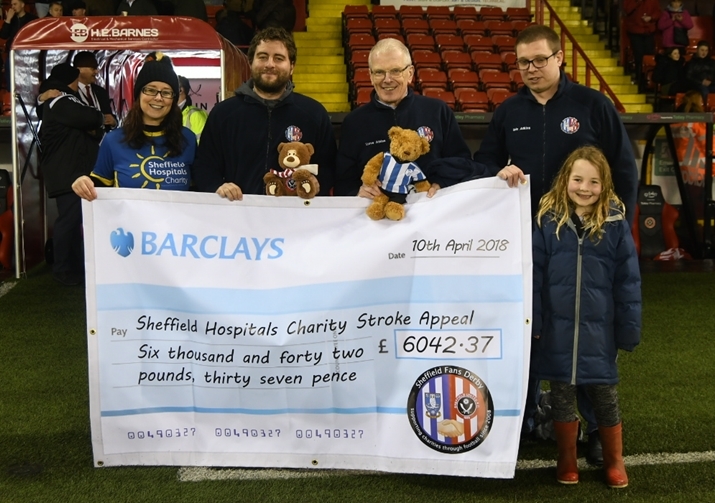 has been raised for Sheffield Hospitals Charity Stroke Appeal through the annual Sheffield Fans Derbybetween Sheffield United Fans v Sheffield Wednesday Fans. This brings the total raised so far to £43,043 since 2008 from 14 games of football in aid of 14 different charities. The Sheffield Wednesday Fans ran out the victors after winning the penalty shootout 5 - 3 (Was 3-3 at full time) in the Sheffield Fans Derby event (#SFD14) which was held on Monday 22nd May 2017 at Bramall Lane, home of Sheffield United FC.